We have collaborated with the best of the best in Fairfield County to bring you a local, delicious and certainly special Thanksgiving menu. 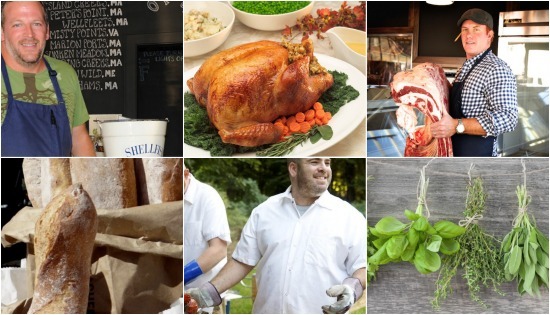 You might even say it is a celebrity chef Thanksgiving menu created just for WFM. We've gathered recipes from the likes of: Bill Taibe, Matt Storch, Mischel Nischan and so many more. View The Complete Recipe Guide Here & view the list of chefs below. Looking for the perfect recipe - heck, the perfect menu? Look no further! Each recipe will include a grocery list for Saturday's market at Gilbertie’s Herb Garden in Westport. Wow, is right. Please help us spread our gratitude by sharing this with your friends and family. Eat Well and Live Local!